Spring is right around the corner, which means our beloved summer is not far behind either! It’s time to start planning our days around paddling again, or in all honesty just paddling even more. 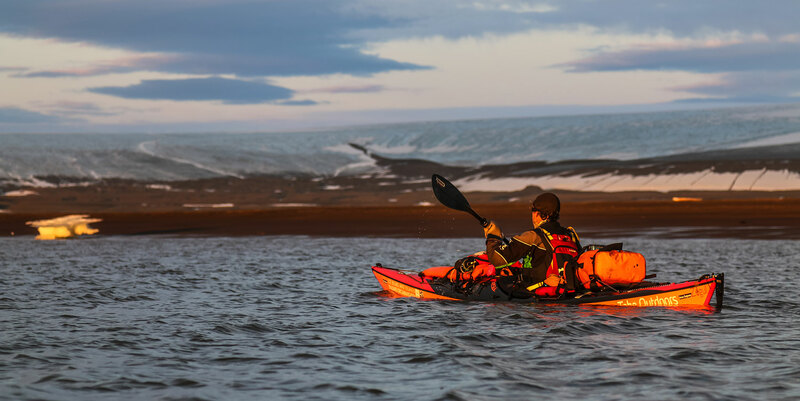 Spring and summer bring not only warmer weather, but some awesome paddling festivals too. From the Southeast to the Northwest, there are hundreds of cool festivals to check out this year to run new rivers, meet cool folks, buy sweet gear, and just kick it with like minded individuals drinking some cold beers. We’ve got a list together of some of our top favorite paddling festivals you may want to pencil in this season. Still just in its 3rd year, the annual Get In Gear Fest, organized by the Outdoor Gear Builders of Western North Carolina, is a family-friendly all day outdoor celebration. Featuring live music, beers, tasty food PLUS gear demos, new products and (our favorite) paddling, it’s one you won’t want to miss. They will also be the chance to win heaps of prizes from tshirs to slingshots! See their event page for more. We naturally have to include a home-team favorite – Gauley Fest! Yes, September is technically considered fall but may as well start planning ahead! The mighty Gauley River has some incredible Class V rapids, and we all know the scenery in wild and wonderful West Virginia is top notch. The festival is put on by American Whitewater, and is their biggest event of the year and supposedly the largest paddling festival in the world. Boaters and outdoor enthusiasts of all shapes, sizes and skill levels love this festival. There’s tons of top vendors who often do raffles or games to win gear, and camping with good music and late night general debauchery. Plus, we’ll be there! Come say hey! This 3 day festival down in the lowcountry has something for everyone in your crew. Whether you’re a paddler, rock climber, slackliner, mountain biker, or disc golf enthusiast you’ll enjoy this event. There’s a “Try It” zone where you can demo and test out all kinds of outdoor gear including archery and stand up paddle-boards. On Saturday there’s a disc golf and climbing competition, as well as a vendor village where you can try before you buy. Grab some boiled peanuts and sweet tea vodka to check out this cool event that’s in it’s 27th year. Kayakers and boaters flock from all over to the Kern River Festival. There’s the fun to run or watch Hooligan Boat Race with a B.Y.O.B (build your own boat) approach and also the Olympic qualifying races. Watching the extreme slalom or downriver racing is worth the whole trip which include waterfalls, slides and a granite ampitheather for spectator enjoyment. There’s also a wildwater Biathalon, craft beer and tasty food to indulge in. All any good boater really needs from a festival! This event draws professional and amateur athletes to descend upon Vail, Colorado to compete in nine sports and 25 disciplines including kayaking, road cycling, trail running and even dog competitions. GoPro Mountain Games also holds a mountain photography competition, adventure film school, a film festival, an interactive exhibition and demo area, and live music. There really is an event or category for any outdoor junkie or music and art lover here. Plus, Colorado in the summertime is just… well it’s awesome. Definitely consider adding this extreme sports festival to your lineup. To round out the list we’re going with more local flavor! This event is a fun annual fundraiser that helps advance watershed projects along the Cheat River. With bluegrass and music from good ol’ Appalachia, this event is sure to please. There’s a massive 10 mile downriver race called the “Massacre-ence” where all the best rapids the Cheat has to offer are paddled, including Decision, Big Nasty, High Falls and Coliseum. There’s also a 5K footrace for the runners in your pack, if that’s more their style. Plan to camp by the banks of the river for the weekend, and meet some cool fellow boaters. Festivals and paddling, two loves all rolled into one awesome party and experience. Add some of these awesome top festivals to your calendar this year and as as always stay safe and dry out there!